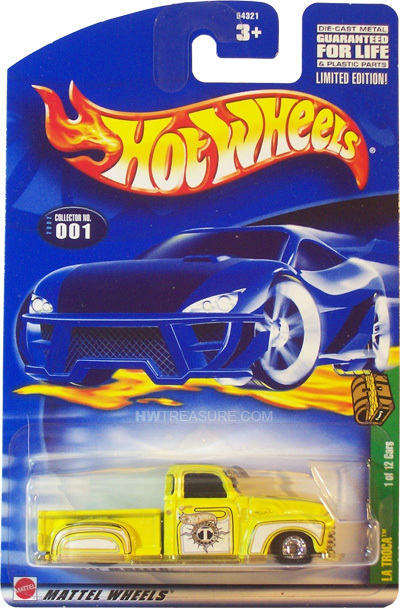 1/12 from the 2002 Treasure Hunt series. The yellow truck boasts white, gold, and black graphics, the TH logo on the doors, and “La Troca” on the roof. 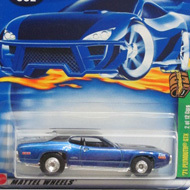 It has tinted windows, Deep Dish Real Rider wheels, and a gold chrome Malaysia base.